(CNN) — Pope Francis has accepted the resignation of a German bishop who was under investigation for spending $42 million on the renovation of his residence. 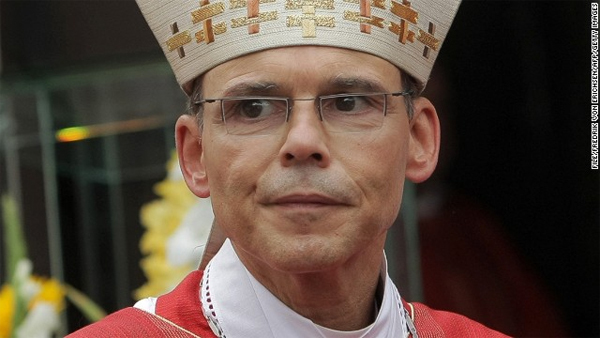 Bishop Franz-Peter Tebartz-van Elst is known as the “Bling Bishop” because of his extravagant lifestyle. According to a Vatican statement, Tebartz-van Elst will be given another occupation in due time. The bishop, who is known as theologically conservative, has denied any wrongdoing, saying the cost overruns on the renovation are legitimate because surrounding structures had to be protected, including the old city wall.